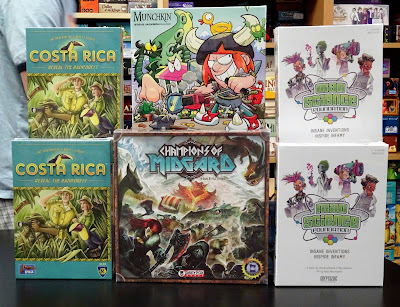 Set out to explore Costa Rica in this new press-your-luck, set collection family game. Players each have a group of explorers collecting the animals of the Costa Rican forest. Game play takes place on a modular board of double-sided hex tiles set up randomly with terrain side up. Each type of terrain has 2 types of animals (rare and common) and/or a mosquito threat. Each round the expedition leader chooses which expedition will move, and where it will go flipping tiles to the animal side as they move. 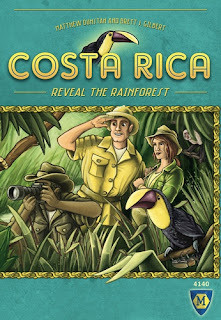 Starting with the expedition leader each player has an opportunity to claim the animals revealed so far thereby removing their explorer from that group and ending that round. Revealing 2 mosquito threats also ends the round. The expedition leader pawn moves to the next player and a new round begins. The game ends when all of the explorers or all of the tiles have been removed from the board. The player with the most points in animals wins. 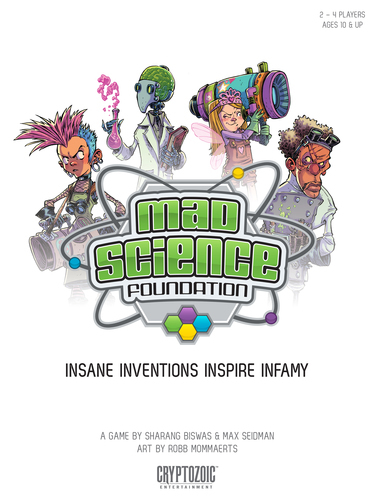 In this new card game from Cryptozoic, your goal in Mad Science Foundation is to be taken seriously by the mainstream science community and the world. You see only one path to do this: cow them into accepting you by creating amazing and terrifying inventions that maximize your infamy. 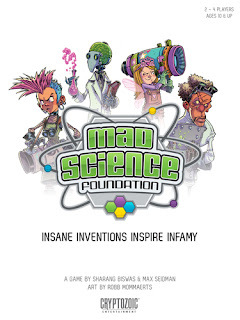 Unfortunately, the Mad Science Foundation, which you rely on for your funding, has decided to encourage collaboration by awarding resources to groups of Mad Scientists for them to split "fairly." Collect the resources you need from Foundation grants, swipe the resources your competitors need from those same grants, and make the maddest inventions to win! Receiving Dice Tower's Seal Of Excellence is Champions Of Midgard, a worker placement, dice rolling strategy game with a mythical Viking theme. The game is played over 8 rounds, during which you send workers from your clan into town to gather weapons and supplies necessary to fend off the hordes of enemies just beyond the walls. 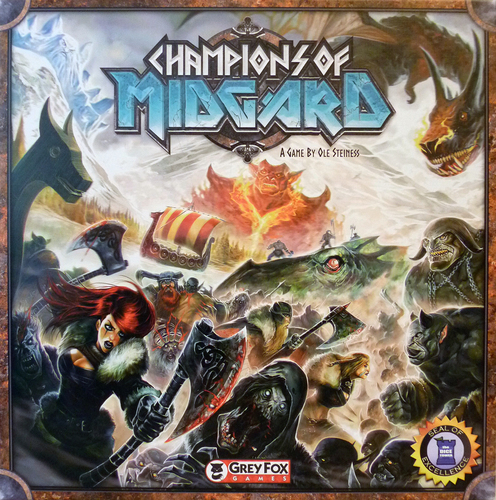 Workers may set the stage for your Viking Warriors to fight the Trolls who regularly attack the town, fight the Draugr who plague the neighboring villages, or hunt the Monsters who reside on distant shores poised to strike at the town and the ships which ensure the survival of the Nordic harbor. 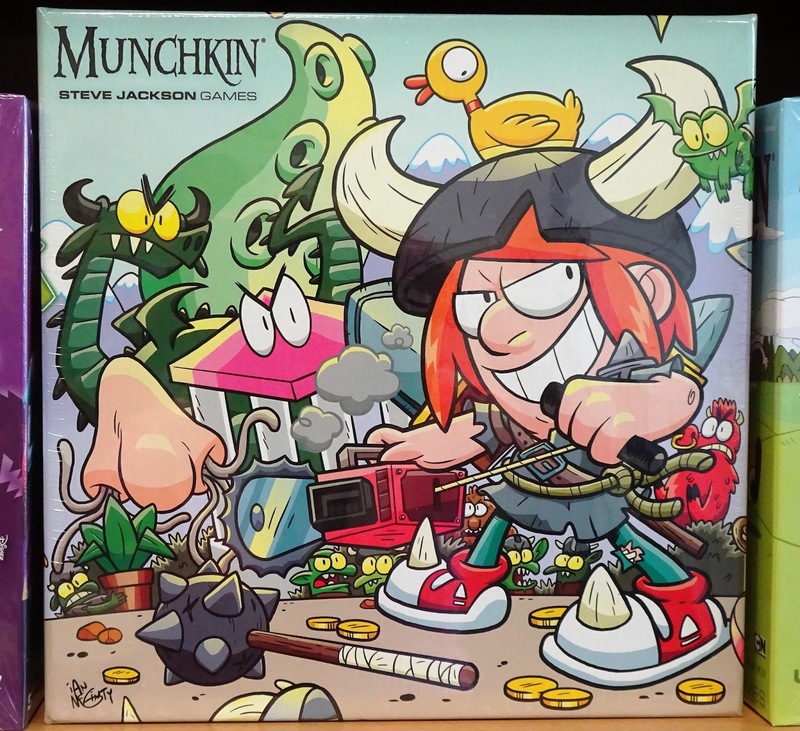 The Munchkin Monster Box is just the thing for Munchkin fans who have a big collection. 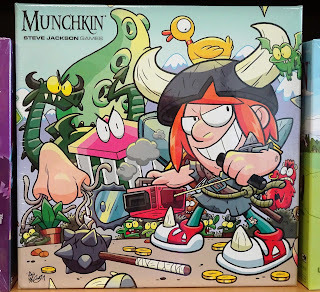 The Munchkin Monster Box holds over 2,000 Munchkin cards with room for your Munchkin swag, level counters and dice. Additionally, there are 10 promo cards inside along with some bookmarks.